Caterina Bendotti holds pharmacy degree at University of Milano (1984) and PhD degree in Neuropharmacology at the IRFMN (1986). She was post-doctoral fellow(1986-88) at Johns Hopkins University, in the Development Genetic lab working on the mechanism of neurodegeneration in trisomic 16 mice, a model of Down syndrome. Since 1998 she is head of the Molecular Neurobiology laboratory and from 2011-2017 has been coordinator of the Animal Facility for AriSLA at the IRFMN. She has long experience in the preclinical research on ALS. 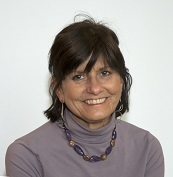 In particular she is recognized for the expertise in animal models of ALS, mainly the SOD1 mutant transgenic rodents. Her main lines of research are: i) study of the mechanisms of motor neuron degeneration in cellular and animal models; ii) identification of biomarkers for the diagnosis and progression of the disease; iii) development of therapeutic approaches in both cellular and animal models. Recently, with her group she is contributing to the field of ALS by elucidating the mechanisms of disease progression variability in two ALS mouse models with particular attention at the role of immune system and in defining prognostic biomarkers of the disease, as documented by several articles. She has authored 155 peer reviewed articles (H index= 42). Amyotrophic Lateral Sclerosis (ALS) is the most frequent motor neuron disease in adults. Classical ALS is characterized by the death of upper and lower motor neurons leading to progressive paralysis. Approximately 10 % of ALS patients have familial form of the disease. Numerous different gene mutations have been found in familial cases of ALS, such as mutations in superoxide dismutase 1 (SOD1), TAR DNA-binding protein 43 (TDP-43), fused in sarcoma (FUS), C9ORF72, ubiquilin-2 (UBQLN2), optineurin (OPTN) and others. Multiple animal models were generated to mimic the disease and to test future treatments. They include genetic engineered non-mammalian species, such as C. elegans, D. melanogaster and zebra fish, proved useful for the dissection of the basic disease mechanisms and the screening of compounds targeting specific mechanisms involved in neurodegneration. However, genetically engineered mice have been the most suitable popular and widely used animal models for the study of ALS. Among them , those that best replicate the spectrum of phenotypes in the human disease are those expressing human SOD1 mutation. More specifically the human SOD1G93A transgenic mouse has been used extensively since its development in 1994 as a model for ALS. So far, a great many insights into the toxicity of mutant SOD1 and on the overall complexity of the disease patogenesis and progression of ALS, have been gained using this and other mutant SOD transgenic mouse models. My presentation will be focused mainly on analysis of this mouse model under different aspects such as the motor phenotype, neuropathological alterations in the central nervous system (CNS) and peripheral nervous system (PNS) and the motor neuron autonomous and non-cell autonomous mechanisms. I will also discussed the potential mechanisms underlying the variability of the ALS in terms of progression rate and survival, which is one of the reasons for the failure of many clinical trials, through the comparative analysis of mouse models with different disease severity. Focus will be also on the identification of diagnostic and prognostic biomarkers and of potential therapeutic targets. Finally, I will go through existing and hopefully new developed mouse models based on other genetic mutations in order to provide a comprenhensive profile of the differences and similarities between these models that can provide clues to understand the phenotypic heterogeneity of human disease.